2013 certainly looks like being the year where 5-inch smartphone displays become the norm, as we are seeing vast numbers of handsets coming with this size of display. Today for our readers in India we can tell you the Lava XOLO A1000 has been released to take on the Micromax A116 Canvas HD. Only yesterday we heard how the Micromax A116 Canvas HD had gone on sale, and now the rival XOLO A1000 has become available priced at Rs 13,999 with shipping taking around a week. The handset also features a 5-inch HD display to match its rival, and is manufactured using One Glass Solution display technology that shrinks down the width of the handset. Specifications include a 5-inch HD IPS display with a resolution of 1280 x 720 and 295ppi pixel density, dual core Mediatek MT6577 processor clocked at 1GHz with 1GB of RAM, Bluetooth 4.0 with A2DP, dual SIM support, Wi-Fi 802.11 b/g/n, GPS with A-GPS, and Wi-Fi hotspot. Camera wise there is an 8 megapixel rear facing shooter with a LED flash, and around the front you will find a 1.2 megapixel unit. Storage wise there is 4GB of on board memory that can be expanded by a further 32GB thanks to the microSD card slot. The device is running Android 4.1 Jelly Bean and there is also a 2,100 mAh battery pack and all these components are squeezed into a handset measuring only 8.8mm. The company’s official website has more information but the link to buy now takes you to a different handset but the correct order page can be found here. 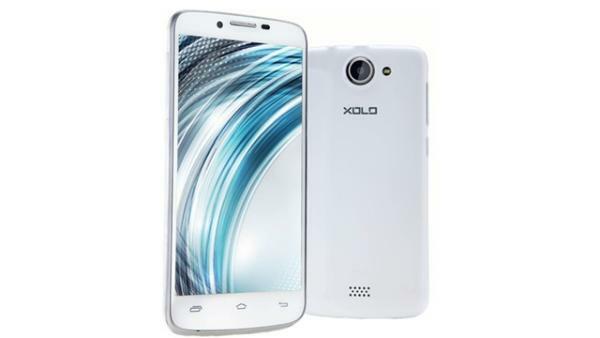 Will you be getting the XOLO A1000 or Micromax A116 Canvas HD?